SINGAPORE - Singaporean households are earning more income from work, the latest official figures show, though the rise was not across the board. Lower- and middle-income families saw their earnings go up last year - even after taking into account inflation - continuing a trend over the past five years. But the bottom 10 per cent did not do as well: Their real income, after adjusting for inflation, actually fell last year. Some economists attributed the slip to the restructuring of Singapore's economy that has slowed growth and hastened inflation. Still, for the majority of households, the figures from the Department of Statistics (DOS) painted a picture of improved standards of living. The DOS report was released on Wednesday, ahead of Budget Day next Monday. It shows the median monthly household income - the midpoint of a range - rising from $7,040 in 2011 to $7,570 last year. This worked out to a 7.5 per cent increase, but when inflation and changes in household size were taken into account, the rise slowed to 1.9 per cent. Over the past five years, the median real monthly income has risen by a total of 13 per cent. As for households in the bottom 10 per cent, their incomes shrank by 1.2 per cent last year, a reversal from the previous year's growth of 5.8 per cent. The decline was a result of including imputed rentals on owner-occupied homes in the calculation of the consumer price index (CPI) used to adjust for inflation. Imputed rental, a proxy for housing prices, represents the rent a person would have paid if he was not the owner of his home. As this is notional and not cash actually spent, the DOS report noted that if it was removed from the equation, the bottom 10 per cent would have enjoyed an income rise of 0.8 per cent. Besides, actual rent paid on rented homes are included separately in the CPI. Even so, DBS economist Irvin Seah argued that the improvement for those in the 11th to 20th percentile last year was "very modest" - 1 per cent - compared to the significant rise of 5.1 per cent of those at the very top. "This restructuring exercise has hit the low-income group significantly more. 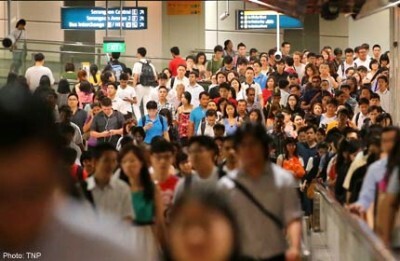 Low-income Singaporeans typically do part-time work and are lower-skilled, hence the risk of losing a job or assignment is higher," he said. The income gap also widened last year. The Gini coefficient, a measure of income inequality, rose from 0.473 in 2011 to 0.478. But government transfers such as Workfare and Growth Dividends helped to narrow the gap. While family members received an average of $1,340 from government schemes last year, those in one- and two-room Housing Board flats got the most - $6,140 - the DOS report noted. Still, the figures may not capture all the help the bottom 10 per cent gets, such as free medical services and food rations, said MP Seah Kian Peng, who heads the Government Parliamentary Committee (GPC) for Social and Family Development. He noted that over the past five years, real income for the 11th to 60th percentile groups grew cumulatively by double digits, more than those in the 60th to 90th percentiles. "The gap is narrowing. There've been deliberate efforts to move wages up," said Mr Seah, chief executive of FairPrice. He wants this year's and future Budgets to lift wages for those at the bottom and manage pressures on cost of living, from childcare and eldercare to housing. Finance GPC deputy chairman Liang Eng Hwa called for continued upgrading of these workers' skills and a tightening of the inflow of foreign labour to "nudge up" wages of the locals.